Soviet troops withdrawing from Kabul, 1990. It would be an exaggeration to say that no man was left behind. Media have reported that an Afghan-war pilot who disappeared in 1987, is alive and wants to return to Russia. 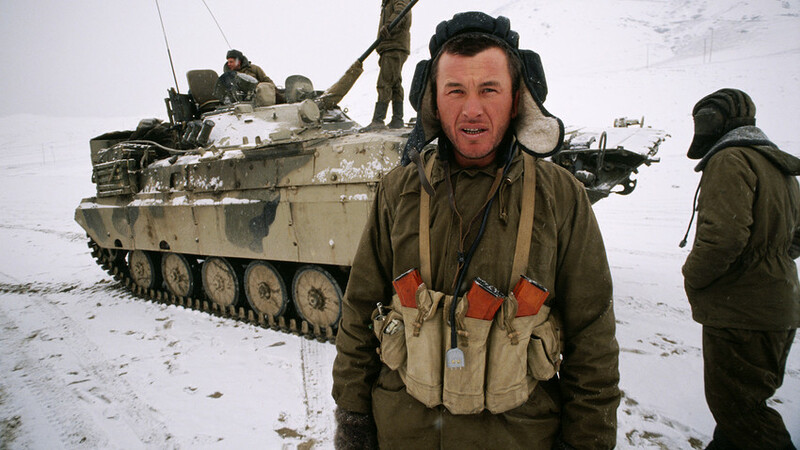 Many Soviet soldiers went missing in action in that conflict. Some returned, but others converted to Islam and settled down in the Central Asian country. On June 1, 2018, the Americans informed the Russian embassy in Kabul, Afghanistan that a pilot who went missing in 1987 during the Afghan war has been found alive. “There are a lot of rumors, but nothing is known for sure; so it’s better not to mention any surnames. We need to check if the information is reliable,” said Gennady Sholokhov, an official at the war veterans association, Brotherhood in Arms, which is involved in the investigation, reported Interfax news agency. Indeed, as of June 7, official information about the soldier’s name has not been released. Born in 1962 in the small city of Zernograd (Rostov Region, 1,000 km south of Moscow), Pantelyuk was an ordinary Soviet citizen. Classmates said he was “a shy romantic” who dreamed of planes and enrolled in aviation school, specializing in aerial reconnaissance. He first served in Georgia, but in 1987 he was transferred to Afghanistan where Soviet soldiers had been fighting since 1979, supporting the pro-Soviet government in their war against Islamist rebels backed by Pakistan and the U.S.
An experienced pilot with 118 combat sorties under his belt, Pantelyuk was having a routine day on Oct. 27, 1987. With another plane he was flying over Kunar Province in East Afghanistan, but then the weather worsened and the planes lost contact. Hours later, the Soviets still couldn’t reach Pantelyuk’s Su-117. The search and rescue mission found nothing. Today, his daughter is 31 years old, but neither she nor her mother have had any news of Sergey’s fate. Hopefully, the situation may now change. 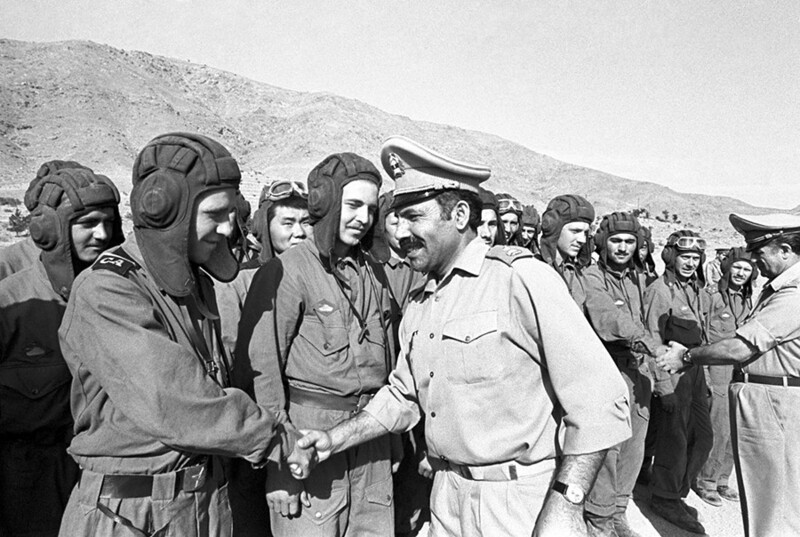 Soviet and Afghan soldiers’ farewell in 1980. Colonel Rutskoy, deputy commander of the Soviet Air Force in Afghanistan, was shot down in 1988 near the Pakistani border. Captured by the Mujahideen, interrogated and tortured, Rutskoy refused to give information. “I was raised in a different way,” he commented in an interview years later. 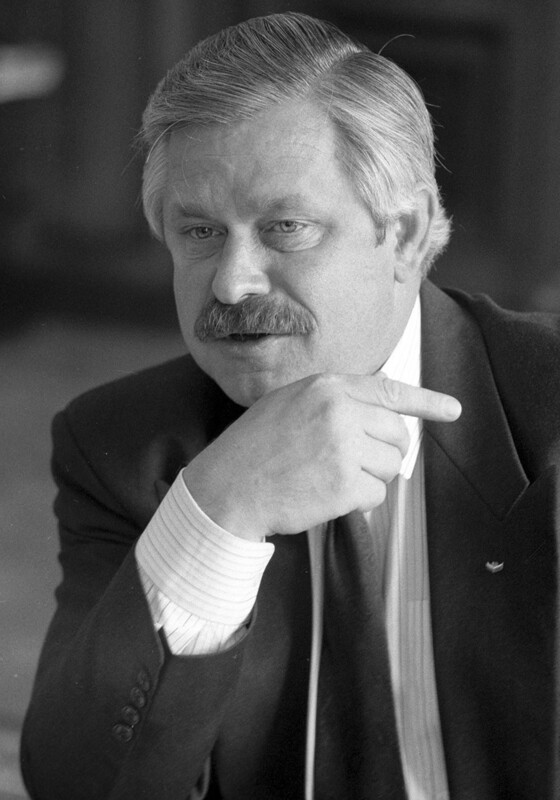 Russian Vice-President Alexander Rutskoi, 1992. After a month, the Soviets managed to free him by paying a huge sum of money. A Hero of the Soviet Union (he was shot down in 1986 and broke his spine), Rutskoy became an important politician in the early 1990s; he was Russia’s first and last Vice President. He led the anti-Yeltsin forces during the conflict between the President and Parliament in 1993, but after he lost he gave up politics. Soviet POWs were kept in Pakistani camps controlled by the Mujahideen. In 1985, 12 Soviet soldiers along with 40 Afghani comrades rebelled in one such camp (Badaber), protesting the inhumane conditions. After taking out the guards and capturing the arsenal, they resisted for 11 hours, repelling waves of attacks until the whole building exploded, killing the defenders and the attacking Mujahideen. Some captured Russians embraced the Afghani culture and converted to Islam. According to Franz Klintsevich, leader of the Afghan veterans’ alliance, many such MIAs and former POWs are not eager to return to Russia. “I’ve met one… he barely spoke Russian and refused to go back, saying ‘it has been 25 years and I’m finished with Russia,’” Klintsevich said. Perhaps the most astonishing story belongs to Nikolay Bystrov, who was almost killed in captivity, but then met one of the most prominent Afghani warlords, Ahmad Shah Massoud. Bystrov later recalled that he, “saw a man different from the others… He was a real leader. Even though I was Russian, he trusted me… we shared a room and a plate.” Changing his name to Islam-ad-Din, Bystrov became Massoud’s most loyal bodyguard. Nevertheless, he finally decided to return to the Motherland with his Afghani wife. Left without his Russian bodyguard, Massoud was assassinated in 2001 by Al-Qaeda operatives. As for Bystrov, he lives now in Southern Russia with his wife and three children. Here's another article on the USSR at war: how the namesakes of German leaders fought for the Soviet Union. What foreign units fought side by side with the Soviet Army against the Nazis? What role did the USSR and Russia play in the Korean crises?